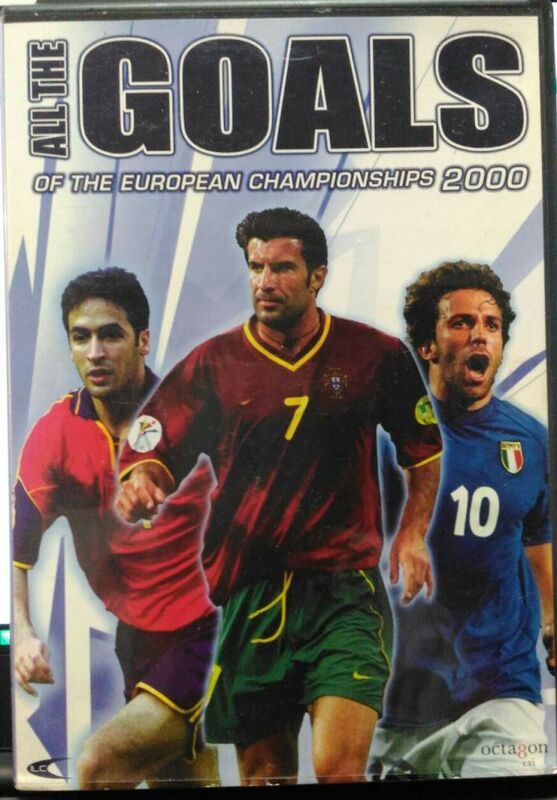 This DVD, produced by Octagon CSI, is certainly one notch above the All the Goals of the World Cup 98. Price: I bought this on eBay, second-hand, for about AUD$6.50 including shipping. It seems to be a relatively rare DVD. Time: Just under an hour - about 58 minutes. 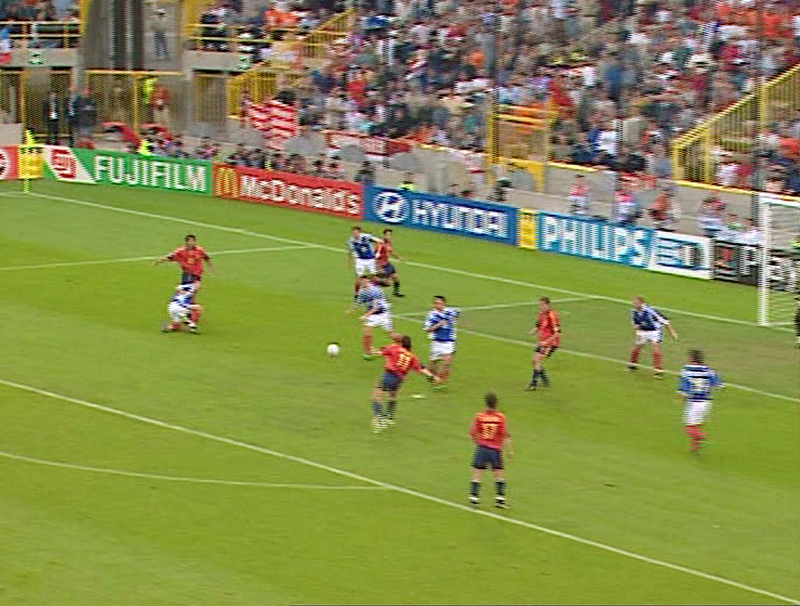 I have to say that All the Goals of the European Championships 2000 is somewhat good - you can tell that Octagon spent a bit more time on its presentation. Those of you who like everything to be in chronological order (Goals by group stage then knockout stage, for example - as in All the Goals of the World Cup 98), will be in for a rude awakening as all the goals are just put into these categories and they are randomly shown. Not that that is a bad thing I think. It is a nice change I suppose - but not everyone will necessarily agree with me. The categories are very interesting and varied. 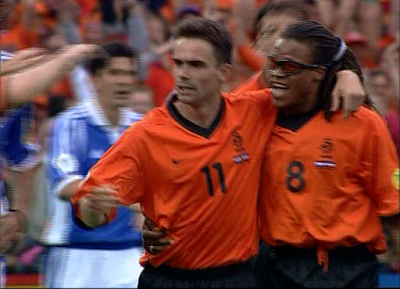 For example the 'Golden boot' category features all the goals of Savo Milosevic and Patrick Kluivert, the joint leading goal scorers of this tournament. 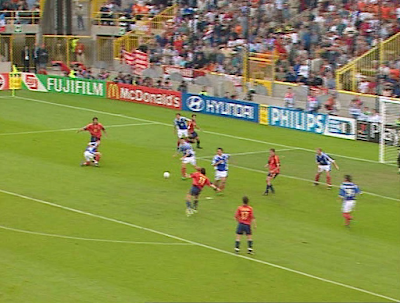 'What a miss', 'That was close' and 'Off the woodwork' are your standard highlights of near-misses, although some from memory were not that close at all. 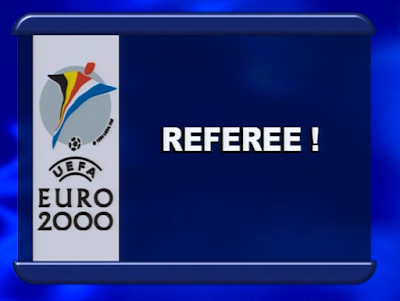 Referee! 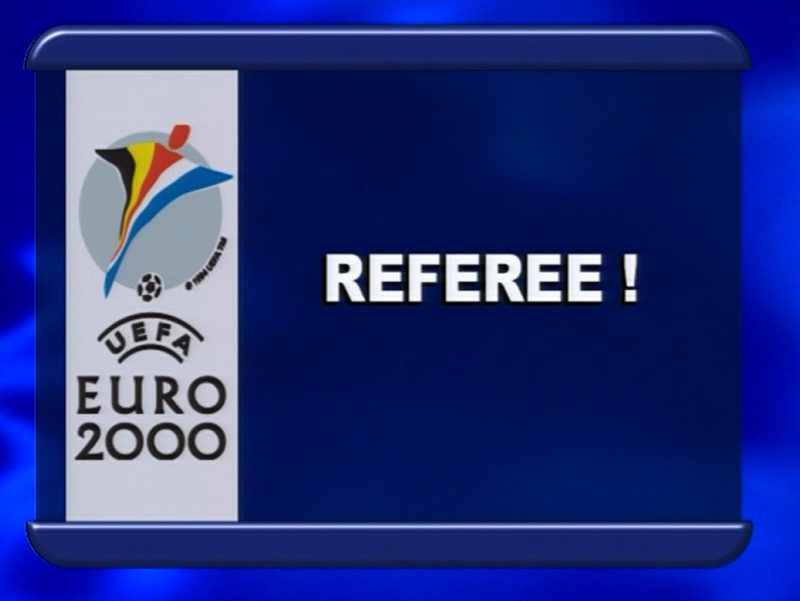 shows funny moments involving the referee - such as interactions with the players (including lecturing etc). Oops!, from memory, shows goals that were gifted from silly mistakes, own goals or just reckless fouls. And the DVD wraps the whole thing up by showing ten of the 'best goals' as rated by the producers of the DVD I presume. 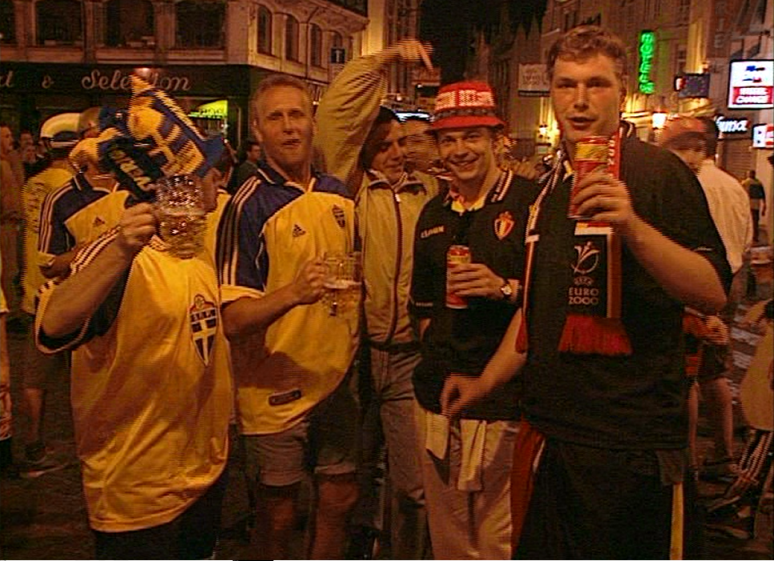 As you might have guessed, this DVD does a significantly better job of capturing the UEFA Euro 2000 tournament as a whole, I find, compared to what All the Goals of the World Cup 98 did for FIFA World Cup '98. b) Misses, random and funny moments are also included in the package. In my view this makes all the difference. That being said, penalty shoot-outs are not included which is a bit sad, but I suppose is forgiveable. There is one downside to this DVD, and that is the annoying music heard in some of the categories. But I suppose that can be overlooked. At least the live crowd can be heard even with the music on. The live commentary appears to be reserved for the main goals categories. I think this DVD does a rather good job of fitting everything in under 1 hour. The variety and spread is simply put, fantastic. And the quality of the production and commentary is not bad either. I didn't mind too much - perhaps lower the below score by 1-2 points if that kind of thing is likely to bother you. I would recommend this DVD to all lovers of football.